One random winner will be chosen to receive a copy of Agent 6 by Tom Rob Smith. Click on book cover for more information and to enter. One random winner will be chosen to receive a copy of The Whisperer by Donato Carrisi. Click on book cover for more information and to enter. Five random winners will be chosen to receive a signed copy of Betrayal. The book will be signed by Robert Fitzpatrick and bestselling author Jon Land. Click on the book cover for more information and to enter. 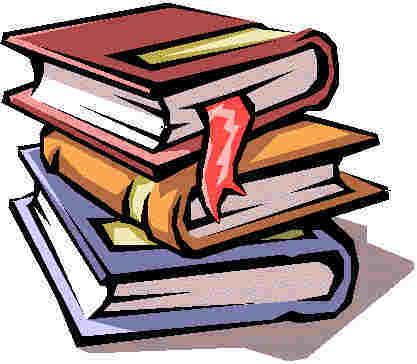 Other book giveaways are posted on the main page. To enter, go to the main page of Bestsellersworld.com and scroll down the right hand column until you come to book giveaways. Click on the links to enter. WHITEY BULGER, the most infamous gangster of the 1980s, blazed a murderous trail to the top of Boston’s and New England’s underworld, all the while working as an FBI informant. BOB FITZPATRICK, a street smart, saavy FBI chief and one of the most celebrated agents of this same era, was sent by DC Bureau Headquarters to clean up the mess Bulger is involved in and deal with the problem once and for all in 1981. But what Fitzpatrick didn’t know, couldn’t know, was that his fellow agents from Boston to Washington, from bottom to top, were abetting and protecting Bulger, fueling his meteoric rise from street thug to crime boss. What resulted was a battle of bullets and wills that found Fitzpatrick at war not only with the organized crime underworld, but also the corruption-riddled Boston office of the FBI, the very office he’d been sent to clean up. The deeper Fitzpatrick delved, the more he realized that headquarters itself was an accomplice in Bulger’s murderous rise, that the complicity and conspiracy stretched all the way back to the highest levels of the Bureau in Washington. At the risk of his life and career, Fitzpatrick refused to turn a blind eye, continuing his relentless pursuit of Bulger and those FBI agents and officials enabling him. As his own newly developed informants perished, as Bulger tightened his hold over the Boston mob, Fitzpatrick found himself increasingly isolated, left to confront the terrible truths about the very organization to which he had devoted his life. Betrayal will be the first book ever to chronicle this blood-drenched, murder-riddled period from the inside, from the perspective of a ranking FBI chief who lived every agonizing moment of it. This is the dark side of The Sopranos, The Godfather with all the romanticism stripped away and organized crime shown for what it really is and the terrible costs it bears. But at its heart this is the story of one man’s absolute refusal to quit, even after facing the ultimate betrayal and, finally, long after he was forced to resign, leads to his spectacular vindication thanks to a series of groundbreaking trials years before Bulger’s capture in June of 2011. A fascinating theory of everything that presents a new understanding of the wondrous world that extends beyond the barriers of normal life. The disclosure of elusive secrets of the universe and hidden truths about mankind would open your eyes to reality and change your life forever. This profound insight into an unfamiliar world reveals that vibrating spirit energy in the universe is the supreme driving force of human nature and it manifests as will. Furthermore, the spirit force that reveals itself in humans is not only the supreme mover in our psychological equipment; it also governs all movements throughout nature and is the primary principle underlying all creation. As a manifestation of spirit, will is the primary essence of all things and the fundamental reality in all of nature. Reality is spirit or will that expresses itself in the natural and human worlds. In addition, because of the presence of spirit there is a natural order in physical reality and a moral order in human nature. Spirit also provides us with the will to live and drives us to work towards the perfection of our characters. This original theory, considered from a metaphysical perspective, reveals that spirit causes the existence and manifestation of all things. It is indispensable for the explanation of all natural phenomena, inheres in everything and resides everywhere. Easy-to-follow exercises and techniques help you channel the dynamic spirit power that manifests through your mind. Expand your consciousness, cultivate your mind and utilize the creative and attractive powers of your spirit to operate for your benefit and improve your life. Discover how it is possible through meditation, concentration, visualization, mental suggestion, and other processes to unleash the awesome power that is within you. Control and direct the flow of your spirit energy to bring about manifestations in the material world. Create opportunities, satisfy your desires, attract the right circumstances, acquire things and accomplish all kinds of results. The book offers guidance on how to overcome the imperfection of being, acquire a functional understanding of nature’s laws and master the conditions of life. This thought-provoking book demonstrates that it is possible to experience perfect happiness and overcome life’s fundamental problems through the power of love; and when sustained by love, happiness can cover the whole span of your life. The book also offers guidance on how love can lift your consciousness to a higher level of understanding of the true meaning and purpose of life. Exercises and instructions throughout this book explain how to expand your capacity to love, achieve greater success in life, and realize the full fruition of your human nature. Discover how to grow in love and avoid the excesses of human nature that promote sadness and disappointment. Send and receive love vibrations. Become more receptive to the messages of love. Find lasting happiness in married life by always following the aspirations of your soul when falling in love. Written in a very readable style, the book reveals that: love is a fundamental binding force that can transform human conduct until it is brought into harmony with the laws of nature. It inspires us to follow common goals and values that unify humanity. Our actions possess moral worth when they are based on goodness and love. When we grow in love, we gain possession of the truth; and truth exposes ignorance by lifting the veil of darkness from our minds. You must embrace the universal principle of love in order to maintain harmony with your soul. Without such harmony you cannot progress to the higher stages of being, find true happiness or attain the highest good in life. You must encourage the expression of love in your consciousness and promote its manifestation in your life. When your mind is consumed with thoughts of love, evil habits and intentions vanish from your consciousness and goodness takes possession of your life. Love is a powerful emotion that can alter the course of your life. The powerful expression of love enables you to secure those higher values which are needed to restore your human nature. There must be a soul attachment for a marriage or any human relationship to survive or flourish. The greatest power of the human soul is the ability to attract others to ourselves. Manhattan private eye AyJay Carlin is single, white, female, and a self-dubbed “pleej,” “crip,” or “wheelie,” depending on her mood. Based on a very real paraplegic, Ms. Carlin is twice as competent as most of us able-bodied folk. She is also irreverent, lusty, and intermittently confused about her world and how she fits into it. In AyJay’s Millions, AyJay is hired by fiftyish Eddie Dahlgren to find out whether his niece, Tanya Styles, is being wooed by a fortune hunter. Styles has become a performing member of Pro Musica Amorosa, a group that specializes in ancient music and is currently rehearsing in a Suffolk County town. Before long, Ms. Carlin discovers that Dahlgren is not who he seems, and neither is Styles, but this only whets her appetite for the chase, not to mention her interest in Mr. Dahlgren personally. When AyJay’s longtime friend and associate Martin turns up dead under mysterious circumstances in New York, closely followed by Styles in Suffolk, AyJay is at first devastated, and then puzzled. There’s no apparent sign of foul play, yet she gradually becomes convinced that they were murdered, a notion pooh-poohed by police authorities in the two jurisdictions. *Gene MacCauslen, an octogenarian lawyer representing Martin’s estate. Increasingly suspicion falls within the ranks of the Pro Musica group, whose members are made up partly of laypersons and partly of friars from the charterhouse of St. Florian near St. Johnsbury, Vermont. But who among them, religious or lay, is the culprit? AyJay Carlin must place her mental and physical competence on the line if she is to escape with her life and nail the culprit. Lily is not your usual terrier. In fact, she's not a terrier at all. She's a pterodactyl who has the power (among others) of clouding peoples' minds. Join Liy, her "owner" thirteen-year-old Celeste, and the other members of PAWS (Private Army of Warrior Sleuths), Fuzzy Wally MacGee (a Chinese Crested/rhino), Lucy Marmoset Higgins (a Great Dane/orangutan), and Prince Alphonse Saed (a miniature dachsund/Mountain Lion) as they fight crime wherever they encounter it, Read their humorous and exciting adventures as they battle against the criminal organization, the Scarlet SNURFLES, headed by the scarlet Macaw, Frankie Sinister. And, when they also have to face the Scarlet Mafia (lead by the scarlet Macaw, Benny the Beak), the aliens known as the Greys, the red Egyptian fox and leader of the Guild of Assassins, and the red panda, General Yao Xing, can even Lily, Celeste, and PAWS hope to succeed?